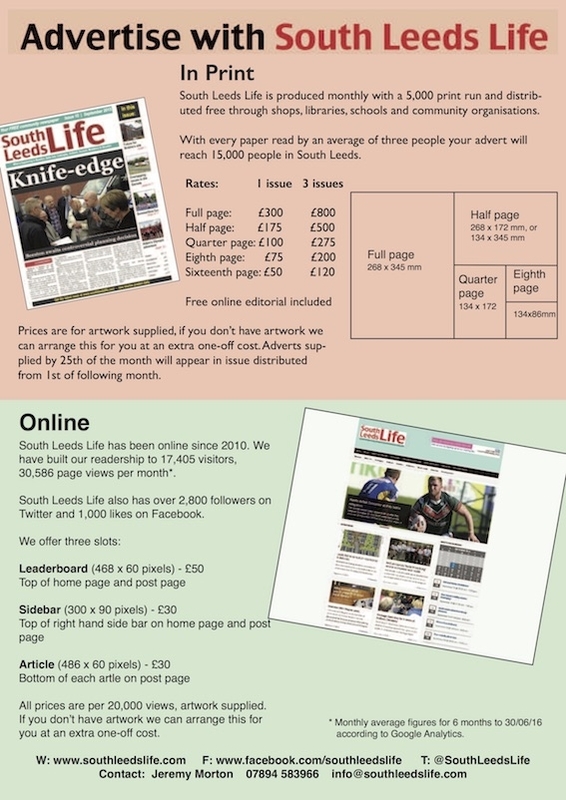 Advertising with South Leeds Life helps to keep the website and newspaper going, and allows us to continue offering the content we provide. We offer Display Adverts on our website. Leaderboard appears at the very top of each page. Sidebar appears near the top of the sidebar on each page. All Display Adverts will require an appropriately sized graphic. You can provide this yourself or we can produce one for a small additional cost. a link to a page on an external website. a downloadable pdf version of a leaflet or poster (we can help with this if required). an article on our website promoting your product or service (we will work with you to produce this).